The Sierra Nevada landscape is one of the study zones of MEMOLA project. This landscape comprises a number of geographic, environmental and historical characteristics that make it unique, allowing a conglomerate of different studies from different backgrounds to work in cooperative teaming. In our particular case, this project offers the chance to unite distinct disciplines with the goal of achieving a wide study in a four-year period, attempting to provide answers to a great number of questions. There are many clues regarding the presence of human populations since prehistoric times in the Sierra Nevada foothills, especially Argaric societies from the Bronze Age. The evidence is linked to the exploitation of metallic mineral present in the crystalline massif -which is the main component of the mountain system. There are numerous deposits of this age, particularly in the northern slope, whose orography is simpler -due to the presence of the plateau- and it has been intensely prospected. The romanization of the territory will mark an important transformation in terms of land and resources utilization. Mining activities will decrease until almost disappear during the Imperial times, in favour of other zones of Hispania, much more productive and strategic. In the Northern slope it is well documented (although still on a superficial level) the abandonment of exploitation and the transformation of the Iberian Peninsula. In its place numerous small dwellings will appear, scattered throughout the plateau, linked to the centuriation and creation of a Roman colony in the current city of Guadix. 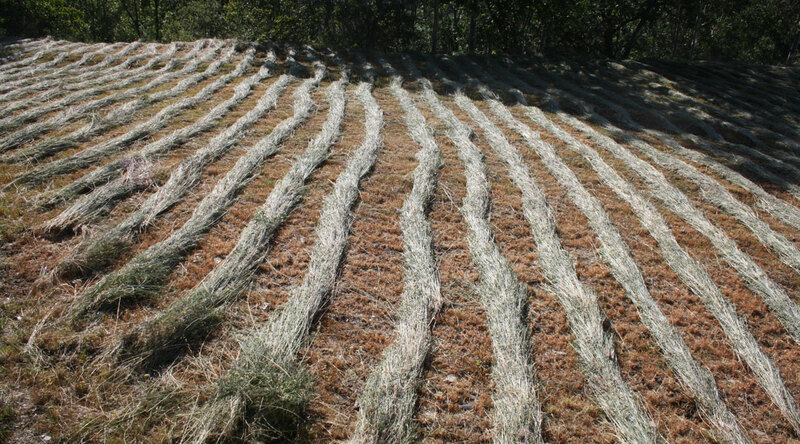 In mountain range is hard to find remains from this period, which does not necessarily mean there was not a forest or pasture land utilization linked to an extensive exploitation which would have to combine agricultural activities with cattle farming. This fact is particularly significant in the southern slope, where the Roman remains are surprisingly scarce so far, and are always concentrated in lower lands, by example in the proximity of Guadalfeo river banks, taking advantage of flat areas such as Órgiva. However, in all Sierra Nevada there are numerous pre-Islamic toponyms which are from obvious Latin origin. Among them there are many of the current villages whose names end with the suffix “-eira”, such as Poqueira, Capileira, Pampaneira, Ferreira or Lanteira. Popular tradition has thought of them as consequence of the Castilian repopulation with settlers of Galician origin during 16th century. We know this is not true, among other reasons, because those names existed already during the Andalusian period. They are the result of a previous castilianization and arabization of late vulgar latin, therefore its coincidence with other Romanic languages like the Galician or Portuguese. 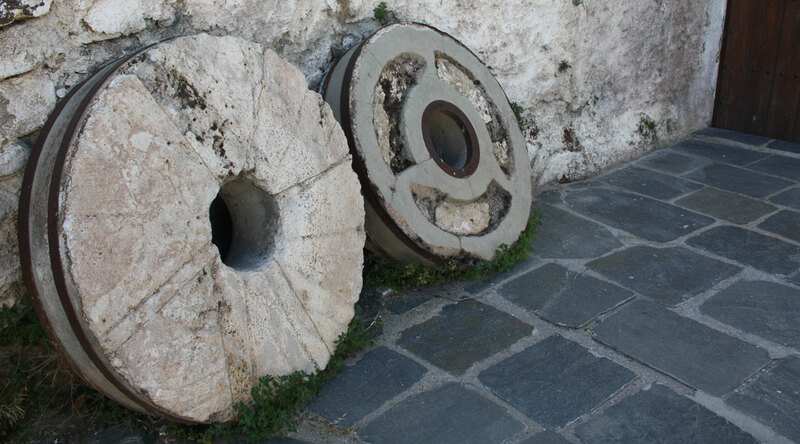 Its abundance, together with many other toponyms and microtoponyms with the same roots, provides us with evidence of an early “mountain range assault” during a late-antique epoch. In the context of the dissolution of the Roman structures, the occupation of the mountain range will become common throughout these zones which were unoccupied before (although not necessarily unexploited). This occupation that qualifies as the result of a population flight is linked not only to the social transformation that took place during this period, but also to changes in ways of exploitation of the environment and its resources. The transformation of the environment will take place doubtlessly with the Arab- Berber conquest in 711. A new era will open, marked by a very different form of territory and resource management, based on the intensification of agricultural production through the extension of hydraulic systems, the introduction of new crops, new systems of mountain aquifer recharge and new strategies of community land and resources management. Among them, the most important will be water. But, as we said before, the result will be a complex exploitation system which will radically transform the mountain range and the peasant lifestyle known until that moment. It will probably be a long process, of several generations, not only due to the enormous scale of the task and energy employed, but also, because of the difficulties of the integration of pre-existent communities in the mountain massif. We have proof of the settlement of numerous tribal groups of Qaysi and Yemeni origin. With all certainty there were Berbers which have not left track. The revolts of the 9th century mentioned earlier provide us the picture of a populated territory, where different social groups cohabit more or less pacifically. During the 10th century this integration process is completely conformed, not only from a political viewpoint, with the final victory of the Omeyan state, but also from the social and territorial viewpoint. Its main expression will be the consolidation of organized territories starting from the alquerías, i.e. from rural communities managing a territory and constituting taxing units besides being settlements. 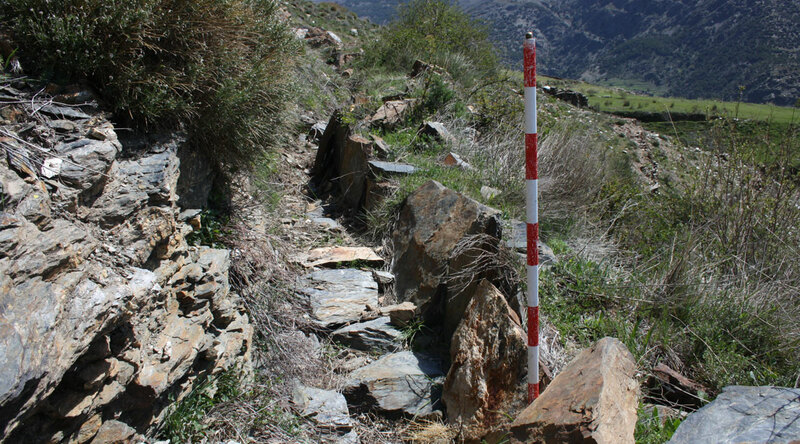 The study of Landscape Archaeology -carried out in the framework of the Project MEMOLA in Sierra Nevada consists, fundamentally, in the implementation of hydraulic prospection, archaeological excavation and superficial prospection. 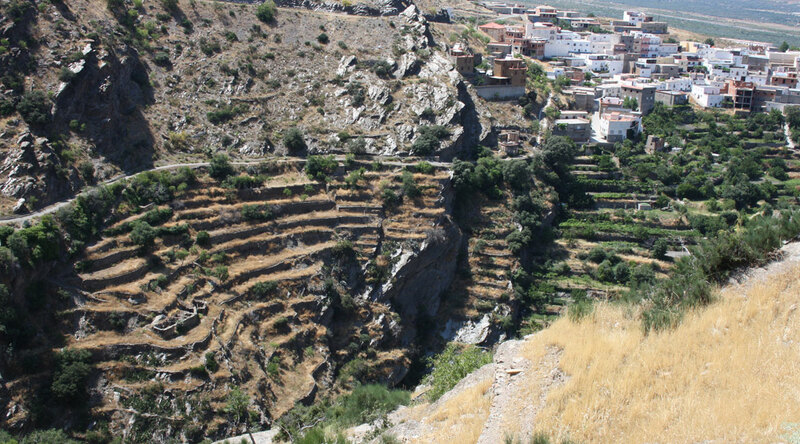 The Sierra Nevada irrigation systems -built during the Andalusian epoch- are kept working nowadays with continuity. The social organization of the irrigation, -as well as the distribution of water in the landscape (using gravity to keep the water flowing towards zones of intensive agriculture) - is equally kept unadulterated since its creation. This opens to us the possibility to know the landscape organization during medieval times. From the starting point of this knowledge, and thanks to the support of the disciplines teaming up within MEMOLA (agronomy, hydrology, botany, ecology), we will attempt to reconstruct the evolution of this landscape. With all this information, the project MEMOLA intends to provide the necessary data to establish efficient actions that will secure the sustainability of the natural-anthropized landscape in Sierra Nevada.